At the beginning of September 2014 Land Rover Company announced its new premium SUV - 2015 Land Rover Discovery Sport. The appearance of the vehicle demonstrates the desire to unify Land Rover models. Formally, new Discovery Sport replaces Land Rover Freelander, produced last 8 years. 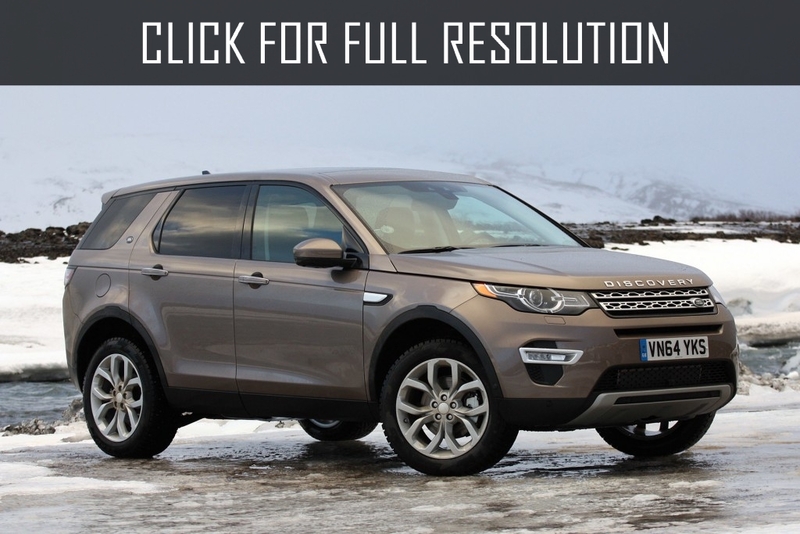 Land Rover Discovery Sport 2015 price will be between $37 070 and $45 570. Expectations were not fulfilled. Basic complete set of 2015 Land Rover Discovery Sport turned out to be richer than usual models in this class including xenon lighting, electric leather seats, audio system with 10 speakers, parking sensors, three 12-volt power outlet, heated steering wheel and windshield. Comparing with Land Rover Evoque, 2015 Land Rover Discovery Sport will have a longer wheelbase-2741mm (+ 81 mm). In fact, Discovery Sport becomes a seven-seater that can be considered perfect precedent for this class of crossovers. However, the seats on the third row are limited, that is why British Company called a formula "5+2", informing the fact that the rear seats are for children. Obviously, in case of need, the third row seats can be folded flush with floor, turning 2015 Land Rover Discovery Sport into a full five-seater crossover with a spacious trunk (829 liters). For comparison: Land Rover Evoque's trunk volume is less than 74 liters. Today, only two versions of 2015 Land Rover Discovery Sport are available: Turbo petrol engine with volume of 2.0 litre, 4 cylinder, 240 HP and turbo-diesel engine with volume of 2.2-litre, 190 HP. Automatic transmission can be 6 or 9-speed. All versions of the novelty are all-wheel drive.